This year saw the first ever joint meeting held between the IPA and the International Association of Limnogeology (IAL) in Stockholm, Sweden. The conference proved a great collaborative success between the two organisations, with over 400 delegates attending. The fantastic location and organisation of the coordinating committee made for a great scientific get together. Four of the School of Geography’s academic staff were fortunate enough to receive funding from the School’s Research Council to attend: Prof. Sarah Metcalfe, Drs George Swann, Matt Jones and Ginnie Panizzo. 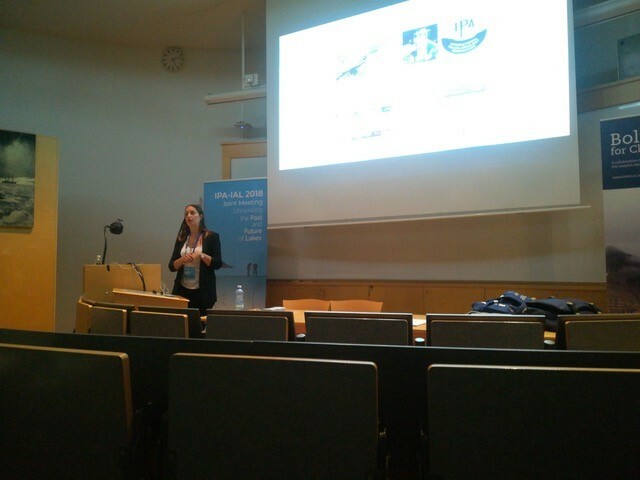 Ginnie Panizzo also sits on the board of IPA, at the time of the conference as the Early Career Representative. On Sunday 17th June she organised an Early Career (EC) Networking event, in tandem with the PAGES EC Network, to engage with early career delegates at the conference. This included a talk by Mark Brenner the Co-Editor in Chief of the Journal of Paleolimnology and two engaging talks by the IPA’s Early Career Awardees (Dr. Jenny Korosi; York University Canada, and Dr. Jean-Philippe Jenny; Max Planck Institute, Germany). This was very apt, as it was first time that this award was given. Sarah Metcalfe was the lead convenor for a session on Tropical Lakes in the Anthropocene, which covered evidence for human impacts across the Americas, Africa, SE Asia and Australasia. Talks were on the Tuesday (including one by Charlotte Briddon, one of the School’s PhD students), with a poster session on the Wednesday (including one led by Ginnie Panizzo). The presentations illustrated the wide range of methods available to address this important issue. 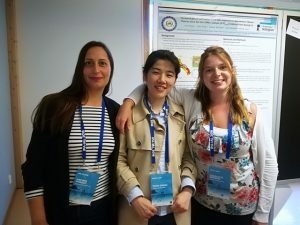 All four School of Geography staff gave oral papers over the week in sessions on Lakes as (isotopic) rain gauges of the past, Diatom-rich sedimentary archives and Carbonate lakes in space and time, illustrating the wide range of research they cover within the field of palaeolimnology. 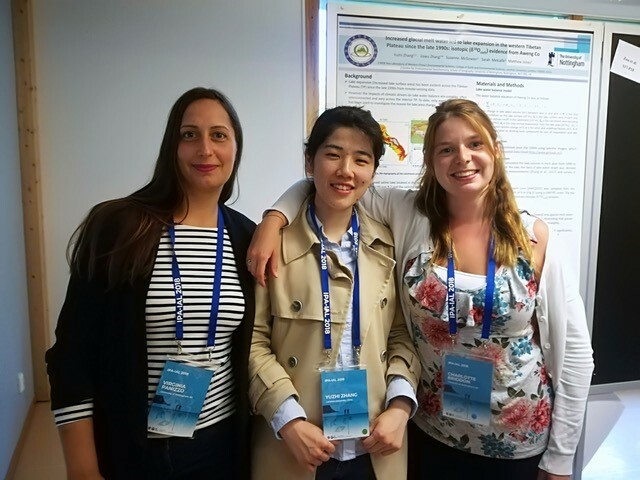 A number of our PhD students also attended to give posters and oral presentations. Great discussions were had by all and new collaborations forged. A fantastic week, all in all. 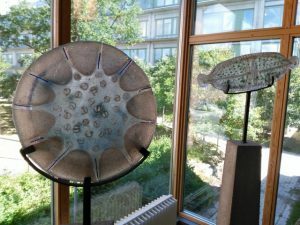 Some of us particularly liked the models of diatoms in one of the conference venues, if only the real things were as big as these!